Looking for CBD Vape Juice for sale? You’ve reached the right place. 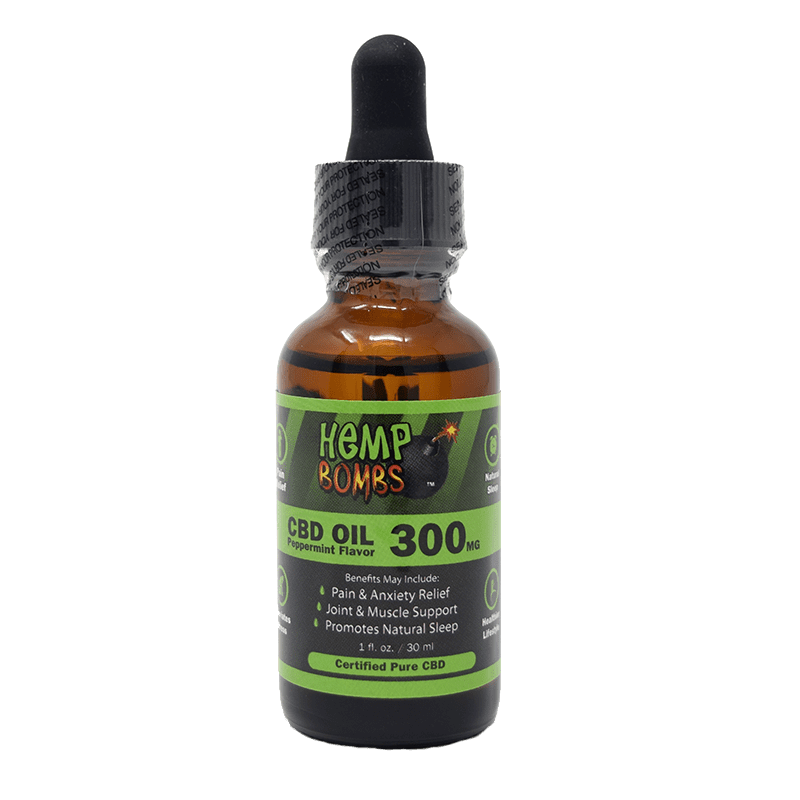 Hemp Bombs is an industry leader based on the quality and diversity of our vape product line – with more than a dozen flavors to pick from, you’ll have no trouble finding CBD Vape Oil that you like. CBD, or Cannabidiol, is a natural compound extracted from a low-resin plant known as Industrial Hemp, not to be confused with the plants used to produce recreational Marijuana products. The CBD Vape Juice for sale at Hemp Bombs is THC-free and isn’t associated with psychoactive effects. While Marijuana plants contain up to 35 percent THC, Industrial Hemp plants contain only traces of THC. Our CBD Vape Juice for sale undergoes a special isolation process to ensure that it contains only pure CBD isolate. What is more, people who use CBD products do not take them to “get high.” In fact, some people who use CBD products would never smoke a joint made of recreational Marijuana. Others who vape do not prefer to smoke cigarettes. Instead, they use Hemp Bombs supplements such for their therapeutic benefits. Not all cannabidiol products are created equally. According to a Brightfield Group survey, 80 percent of people find the CBD products they tried to be either “very” or “extremely” effective. Vape and edibles are among the most popular CBD form, with treatment of insomnia, anxiety, depression and joint pain being some of the top reasons for use. 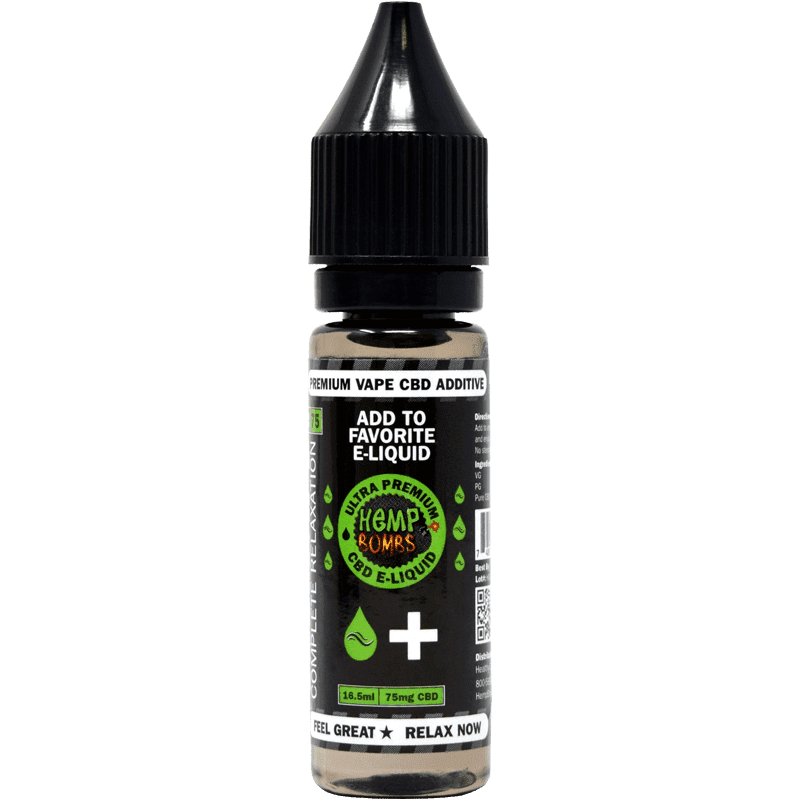 CBD Vape Juice for sale at Hemp Bombs typically takes effect faster than the edibles – sometimes in only a few minutes. Our THC-free CBD products can be taken without concern about failing on-the-job, pre-employment or educational drug tests. 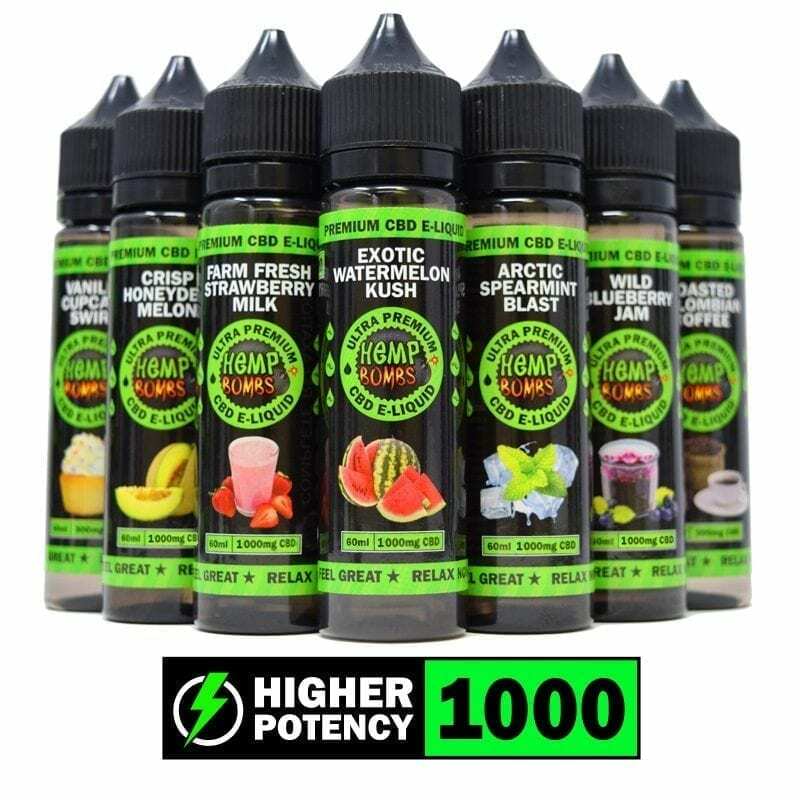 Hemp Bombs CBD Vape Juice does not have any nicotine in it. Therefore, it can provide an alternative to smokers who do not want to inhale the toxins found in many tobacco products. You can also take it in the flavor of your choosing. When doing so, you can vape with the peace of mind that comes with knowing it will not affect the lungs, esophagus, vocal cords, heart or other bodily systems like nicotine or tobacco products would. Many non-smokers have an awareness of CBD benefits and do not smoke cigarettes or take Marijuana. 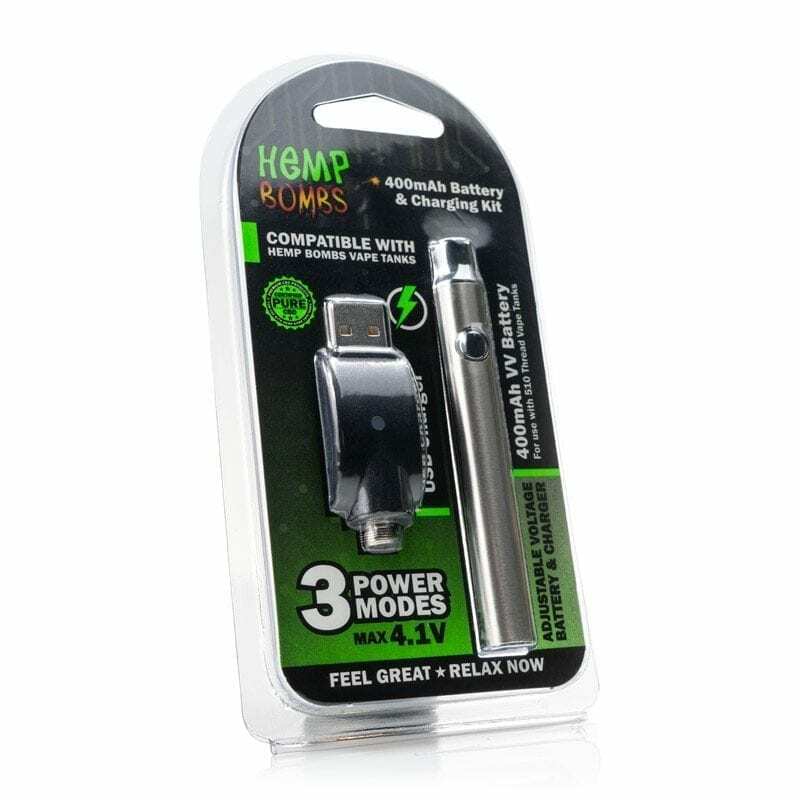 They may take CBD Vape Oil for calming effects without any worry of becoming addicted to nicotine. CBD Vape Juice for sale at Hemp Bombs is non-addictive and can help relieve pain, reduce anxiety and improve sleep. The level of THC allowed in CBD Vape Juice for sale to the public is 0.3 percent, but Hemp Bombs takes it a step further and removes all traces of THC. It is federally legal and viewed as a supplement, which means that you don’t have to worry about facing legal repercussions for purchasing the product. Our CBD is even safer than most because our growers must abide by safe harvesting guidelines, and manufacturers must have their facilities inspected regularly for cleanliness. 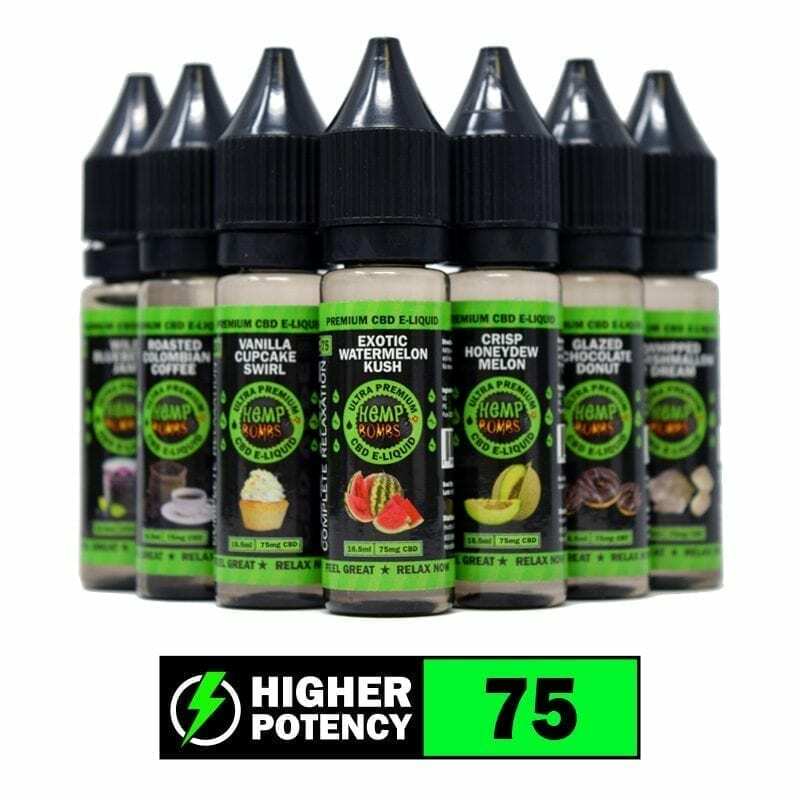 Hemp Bombs customers can enhance their own flavor experience with 12 different flavors including Exotic Watermelon Kush, Sweet Mango Seduction and many more. Every bottle contains a 70% Vegetable Glycerine to 30% Propylene Glycol ratio – formulated for maximum cloud production. Hemp Bombs CBD Vape Juice for sale also contains only CBD isolate rated at 99% purity. In addition to the independent testing, internal tests also are conducted on all CBD Vape Juice for sale. What are you waiting for? Try Hemp Bombs today. Ministry of Hemp -- Are Hemp and Marijuana The Same?